Microsoft has released an application that would make it possible for those who share a PC or account to store files in a separate folder that only they may access. The move has been criticized, however, as some say the program could be misused, hiding content from IT administrators. The software is called Private Folder 1.0, and hides data from the hard drive in addition to protecting it with a password. While no support will be given for the product, it will be available to those who verify their software as genuine through Microsoft’s Windows Genuine Advantage Program. But response to Private Folder from some was not positive. “An alleged security app that’s easily circumvented and completely unsupported, with absolutely no documentation? Oh, dear. With all due respect, who the heck came up with this and why?” a user named “Drew” posted to the MSBlog on Monday. 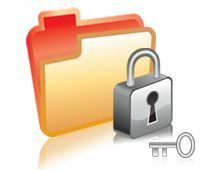 Additionally, if a user loses the password to the folder, there is no way for Microsoft –or an administrator — to unlock the files to regain access, something that many of the application’s detractors found problematic. Those looking to try out Private Folder 1.0 can download it from FileForum.